Damage sustained in this commercial space left systems shut down and posed a risk of lost profits, due to the inability to keep doors open. 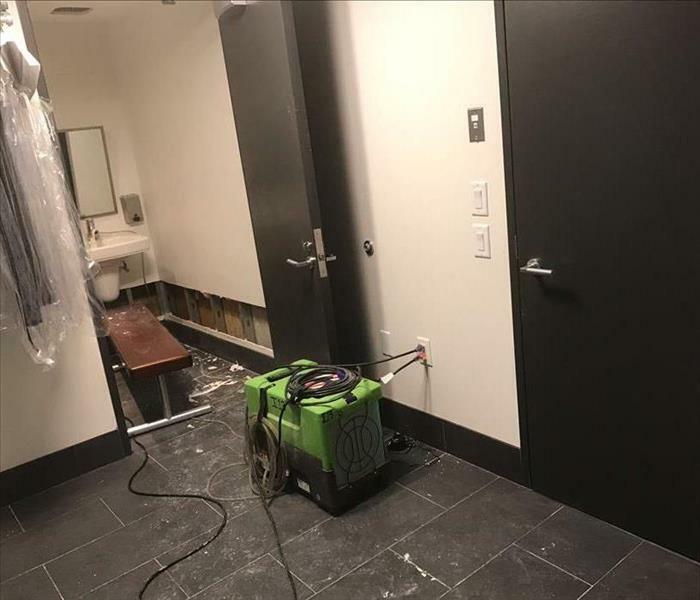 With SERVPRO of East Meadow/Westbury arriving on the scene quickly, we were able to enter the area and repair what had been damaged, while limiting downtime for the business. The result of our efforts was a business back up and operating, in no time! Flooring Damage Fixed For Business! 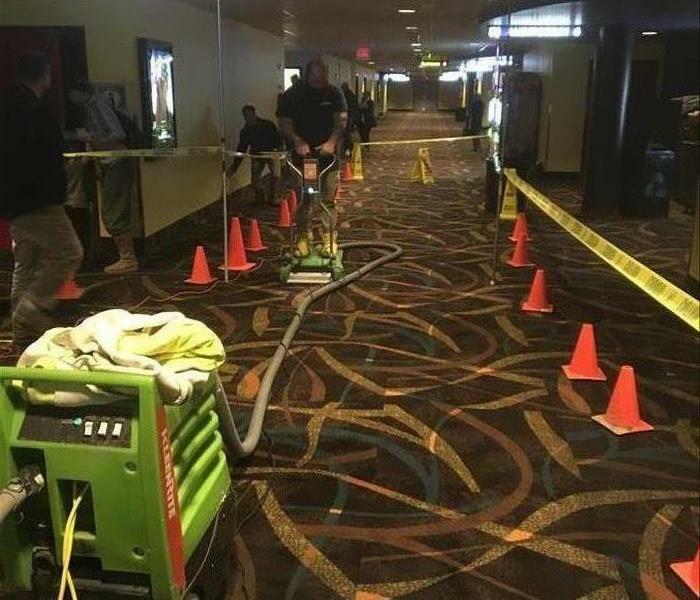 Damage to the flooring in this movie theater was rather extensive and needed immediate repair. SERVPRO of East Meadow/Westbury was on the scene quickly in order to prevent any further damage from occurring. We were there to help the company and their customers so that the show could go on… literally! 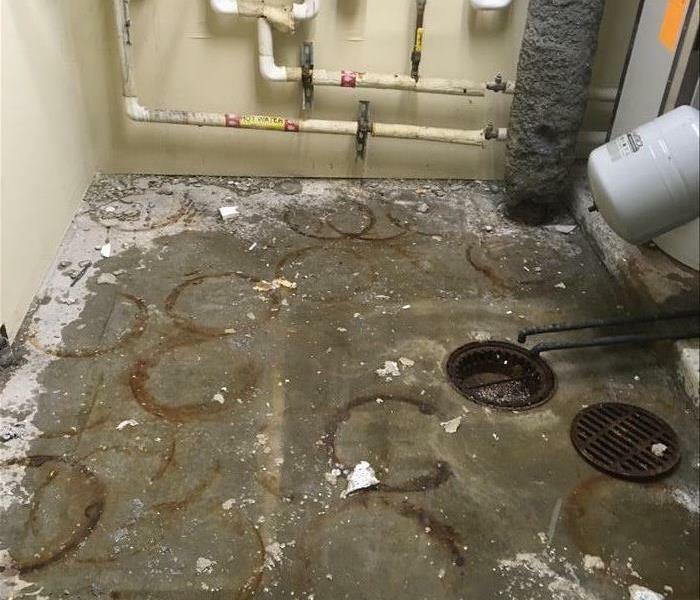 Damage in this women’s locker room meant a possible loss of business and profits -- but not when SERVPRO of East Meadow/Westbury is on the scene! We arrived immediately, assessed the damage and made sure that all problem areas were taken care of, as quickly as possible, with no interference to normal business operations. Emergency service is what we do and we will take care of you when you need help and immediate action! Arriving on scene to this commercial building with the tools necessary to complete the job right, the first time, was exactly what was needed -- and we were happy to provide it! Protecting the unaffected areas, we got right to work in cleaning up the damage sustained by water and brought everything back to normal! These employees were happy to be back in their building quicker than ever, thanks to our team at SERVPRO of East Meadow/Westbury. 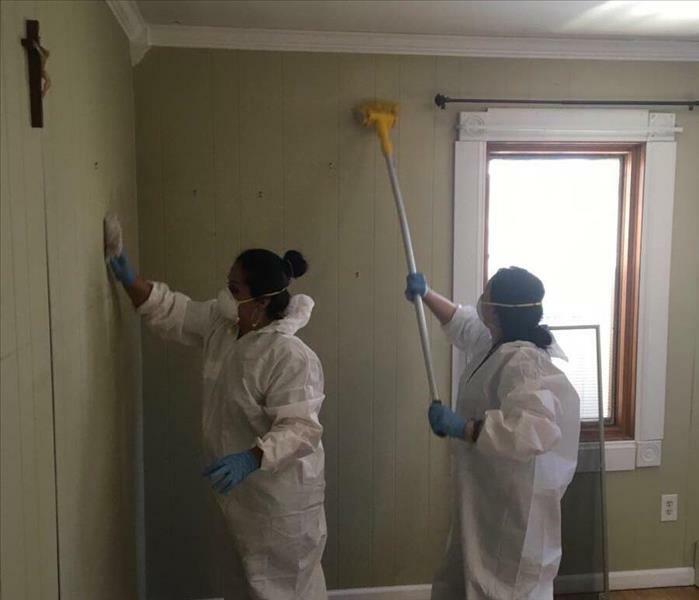 In order to get this business back to serving their clients quickly, SERVPRO of East Meadow/Westbury dispatched an expert team with the tools necessary for a quick cleanup! Our swift efforts provided seamless mitigation for this high-rise building and had employees back in their office in no time. We were in and out in no time to ensure business went back to normal for this company! 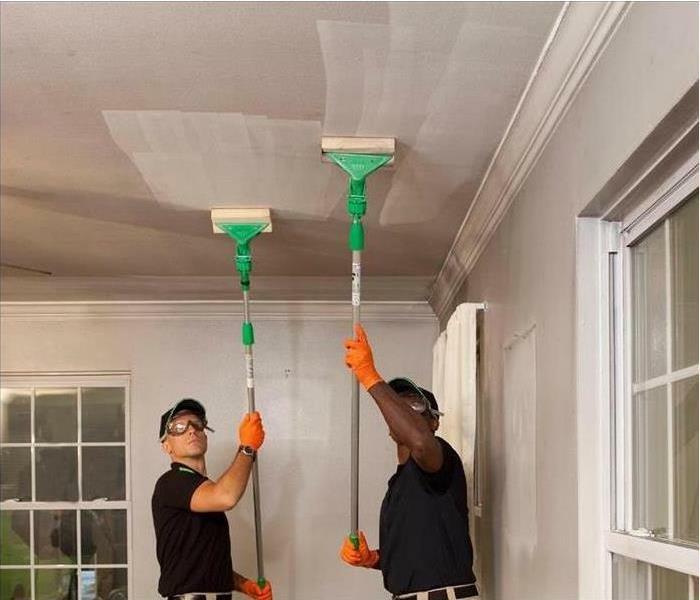 Getting back to business quickly is always a priority, and those who want to, trust SERVPRO of East Meadow/Westbury. 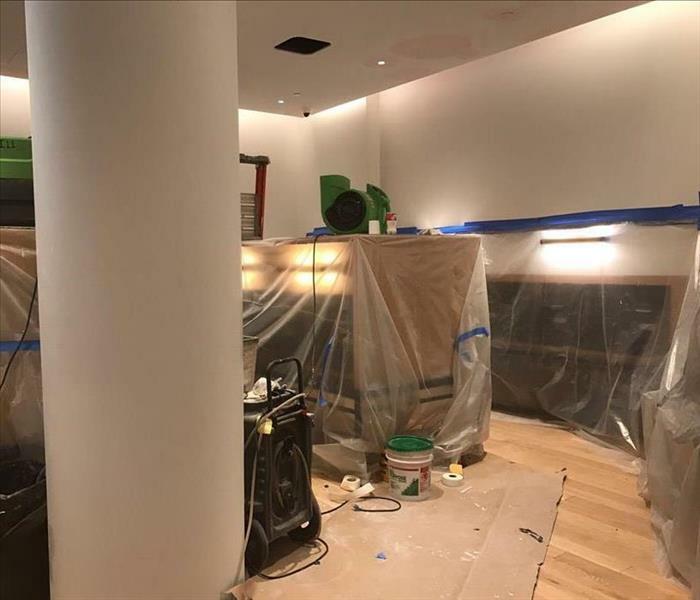 This commercial space experienced water damage from above and our team quickly arrived on site to assess and remediate all issues left by moisture. A quick thinking team had this business back up and running in no time, just like it should be! We do not leave any spot or space uninspected. We understand the way smoke travels and causes damage. No matter where it lands, we will find it and we will properly remediate your home after a fire. We treat your home like it was our own and we ensure you that we will leave you with a clean and healthy environment after you suffer any type of water, fire or bio-hazard emergency. Smoke damage from a fire is not just what the eye can see -- it can travel to places unseen at first glance! Due to the harsh affects smoke from a fire can cause, here you will see that we are removing the insulation and sheetrock from this home. Even though the flames didn’t touch this area, the smoke and soot traveled into the room causing damage not seen by many. 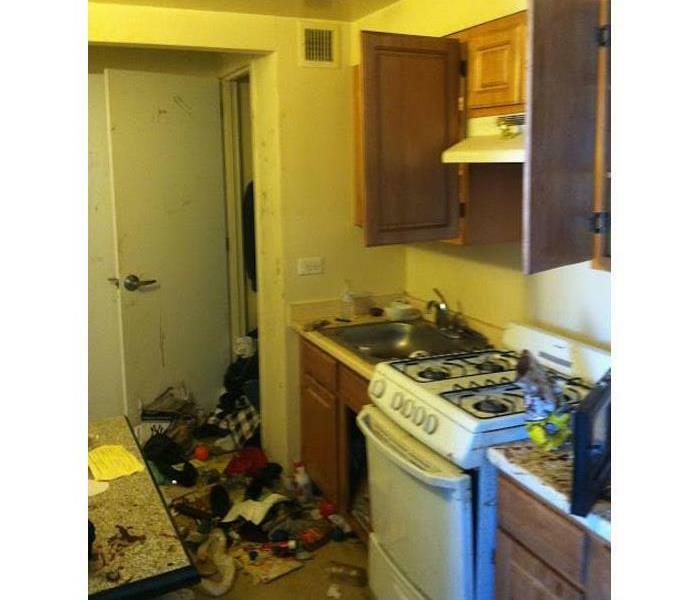 Our efforts provided a thorough cleanup of ALL rooms and areas involved! 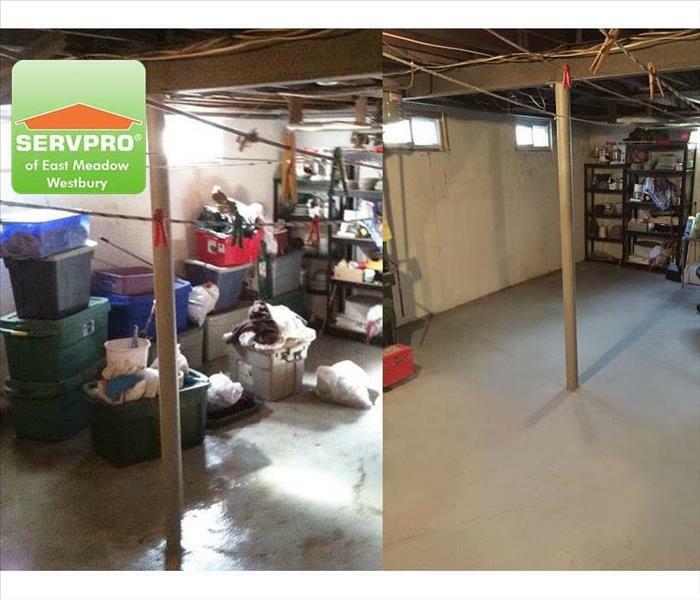 Pictured here is one of the big difference makers SERVPRO of East Meadow/Westbury can make after a fire! 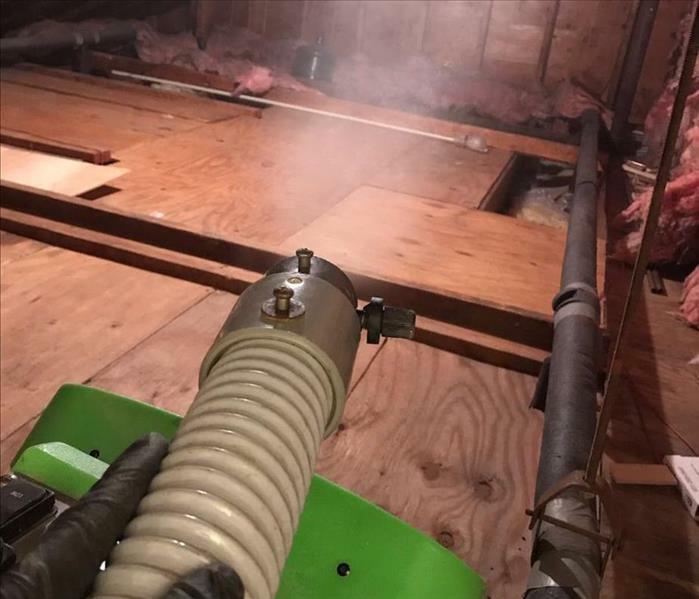 This air scrubber is removing particles and odors from a room in a home after fire damage. Even though rooms may look undamaged after something as destructive as a fire, it’s important to make sure that airborne issues are not present. Thorough cleaning gives you peace of mind and those are just a few things we provide! With pinpoint accuracy, our tools and technology allow us to read and identify the amount of moisture found in an area. 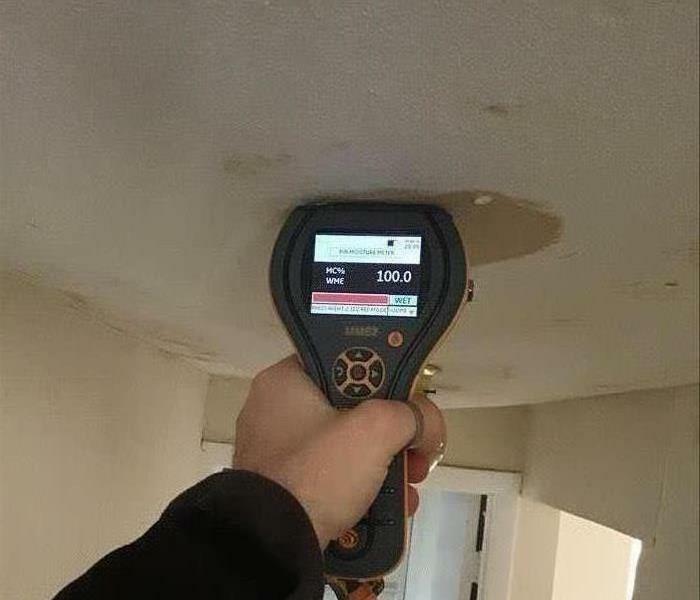 This example showcases a SERVPRO technician using a moisture meter in order to locate moisture found in a ceiling where dark spots were present, indicating something was wrong. The moisture reading was 100%, indicating an issue beyond what the naked eye was able to see. 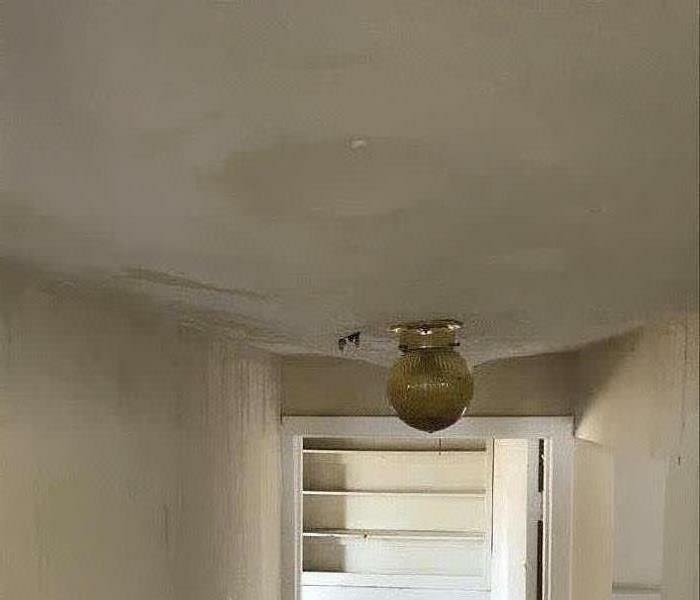 Imagine walking into your newly purchased home to find the ceiling is sagging due to pooled water above -- a nightmare! 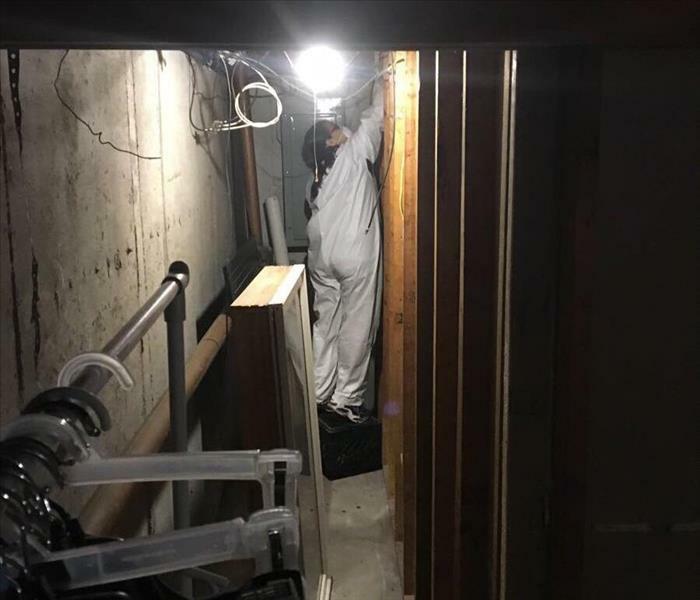 This residential home was the victim of flooding on an upper level which caused water to spread to the second floor and cause a headache for the homeowner. 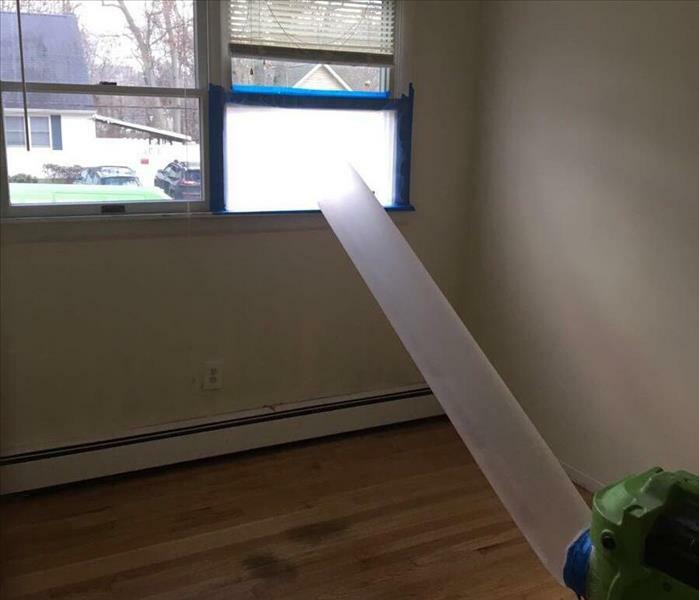 Luckily, the SERVPRO team rapidly responded to the issue and began working quickly in order to mitigate the problem before it got worse. 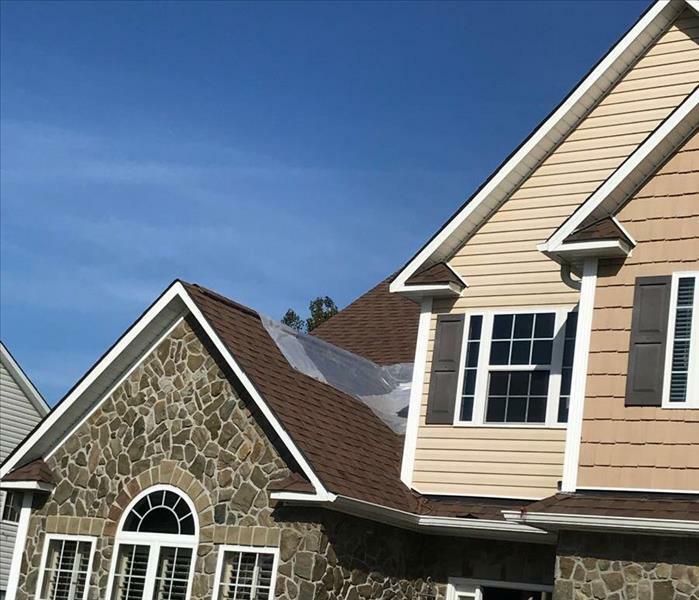 SERVPRO was called to this home that experienced storm damage and partial destruction of the roof as a result of a hurricane. While the storm had passed, the residual effects left by moisture, resulted in a need to secure the exposed area to prevent further damage and resolve any lingering issues! Pictured here is the roof which has been covered to protect the interior from the elements and the possibility of more hardships. Storm Damage After The Fact! This sight certainly isn’t the first thing that comes to mind when you think of storm damage -- but hurricane force winds and rain can be a recipe for a disaster similar to this! Our team responded to a call in a residential home that suffered damage from a hurricane with residual damage occurring shortly afterwards. 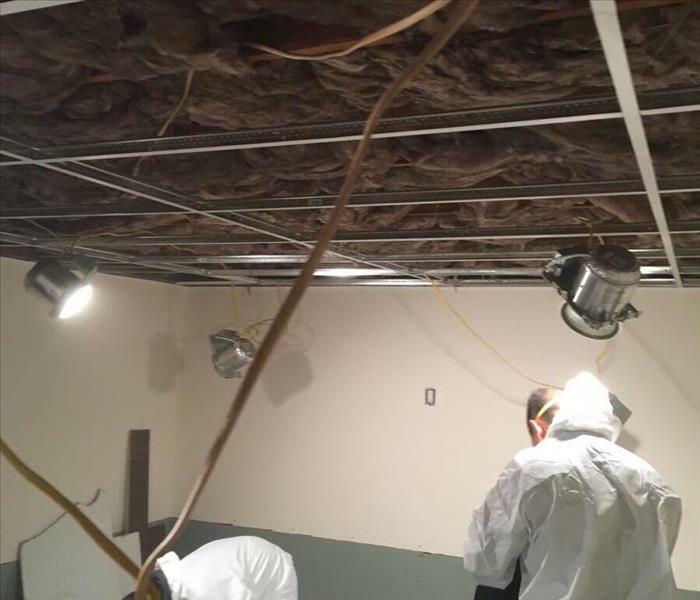 Due to the wind and rain, moisture became trapped above the ceiling and caused water and mold damage throughout the upper portion of the home. 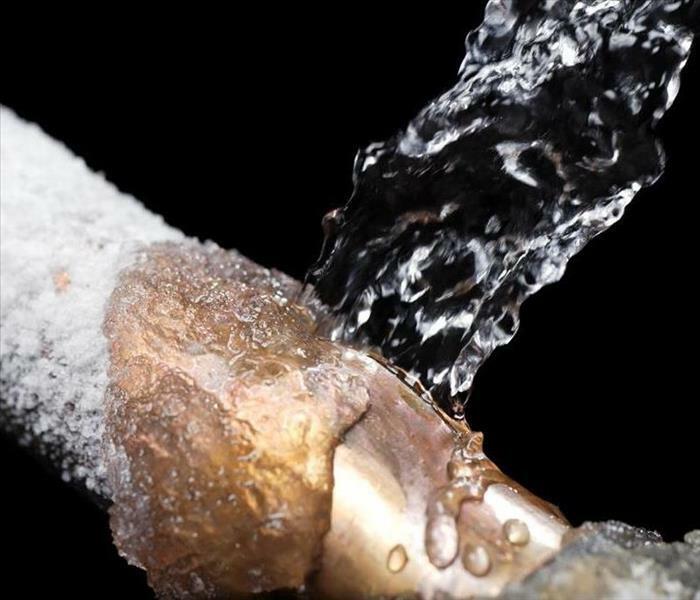 Water damage can be caused by a number of factors, and broken pipes are close to the top of the list! 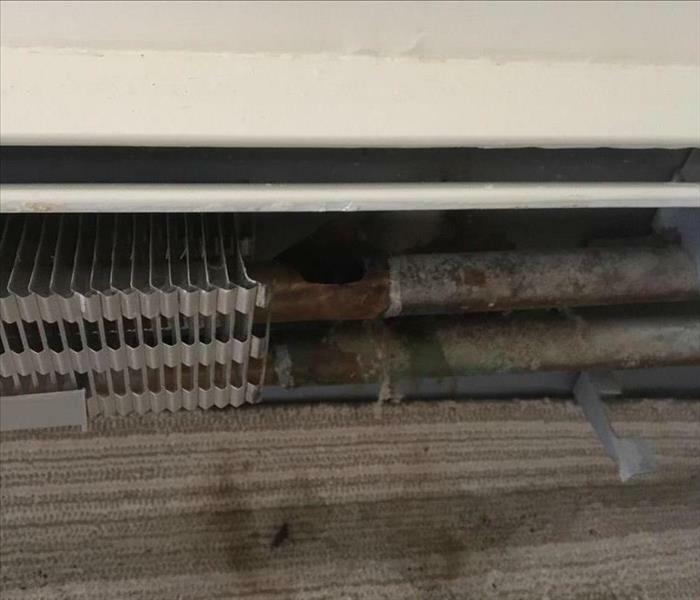 Pictured here is a broken pipe inside of a baseboard which caused extensive water damage while the unit was running. After shutting off the supply of water to the area, we began disassembling the baseboard, and working swiftly to remove much of the moisture in the surrounding area before it turned into a larger issue. SERVPRO of East Meadow/Westbury was called to this residential home to take care of category 3 - Black Water - damage. 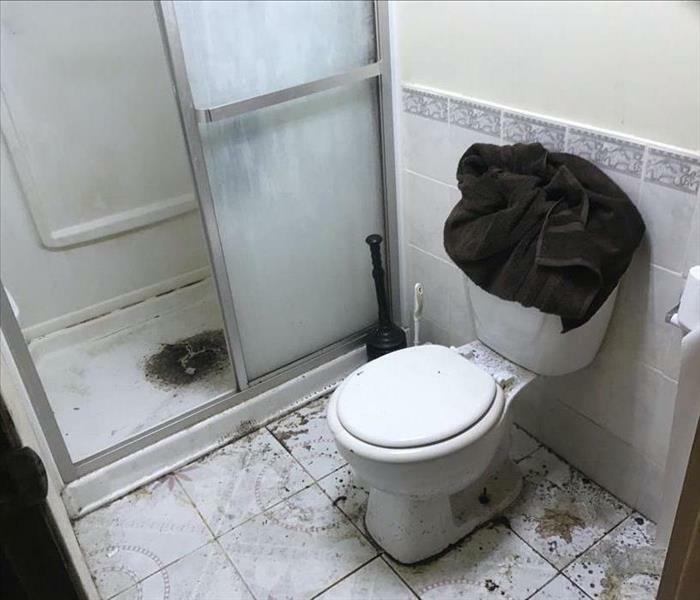 Much of the room was affected by the unwanted contaminated water, and our team quickly sprung into action to assess and begin the process of remediation to properly clean and deodorize the area. prevent further damage from occurring. 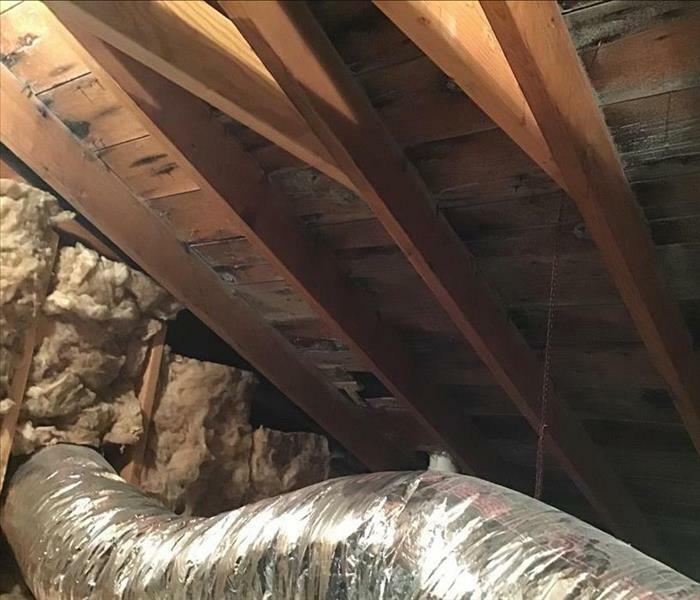 When a rodent infestation takes over a home, SERVPRO of East Meadow/Westbury is there to handle the cleanup! After inspecting and cleaning a space that has been infested with critters, we continue with a process of spraying a broad-spectrum disinfectant that will clean and deodorize against bacteria viruses and Fungi such as Ecoli, Avian Influenza virus, Influenza A/Brazil, Herpes Simplex 1 & 2, Hepatitis B, and more. This process is just another testament to our team going above and beyond to protect you and your home or business! 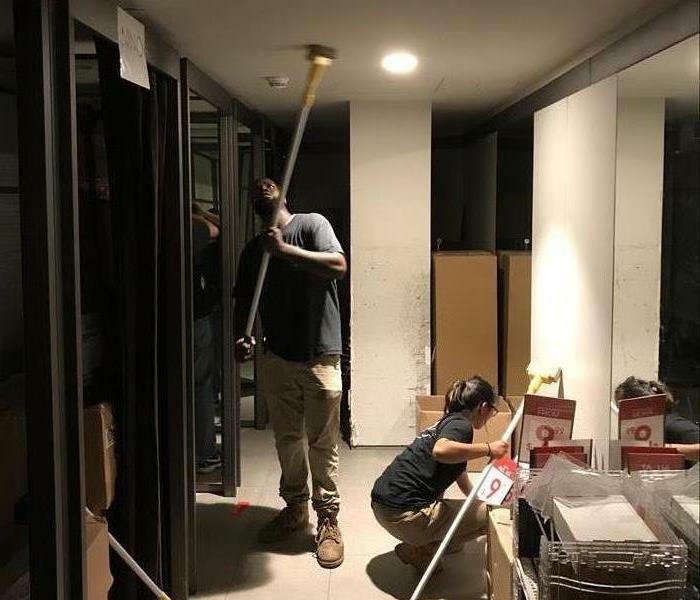 Pictured here is a tactic we use to begin the process of removing fire damage from walls, using an elongated rod with a special sponge attachment. When cleaning soot and smoke damage after a fire, it is pivitol that all damaged areas are addressed. To get your business back up and running, we know that speed and quality is key -- and we set out to and achieve just that! SERVPRO of East Meadow/Westbury was called to this home for mold damage in the attic. Our team uses the latest equipment and in-depth mold remediation training to ensure mold is properly remediated. After a top to bottom, careful, inspection of the affected area, we get right to work. The area is then contained and HEPA air scrubbers are set up to prevent further spread of mold during the process. Additionally, antifungal and antimicrobial treatments are used to eliminate mold colonies and help prevent new ones from forming. When you need someone who can do it right the first time, you choose SERVPRO! Watch out for trees! This ceiling suffered an unfortunate fate as a storm caused a tree branch to penetrate the roofing and travel into the living room. 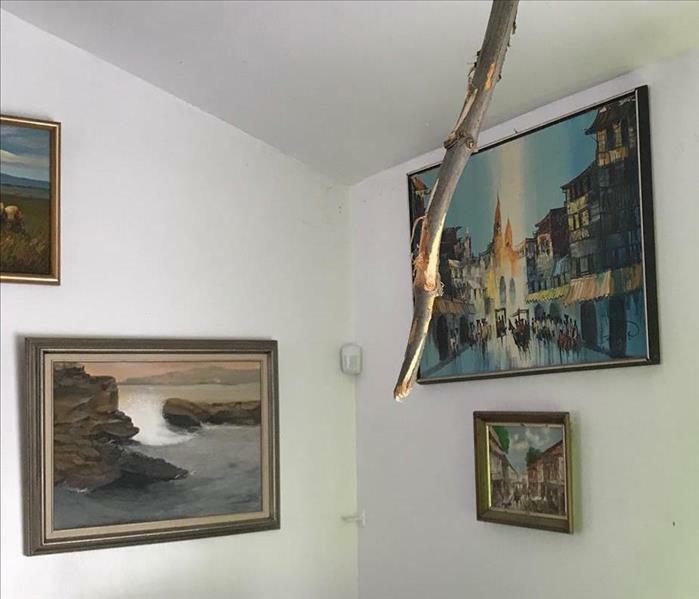 Our team carefully assessed the damage and removed the branch as soon as possible to prevent new damage from occurring, and to get the homeowners back to their normal schedule! 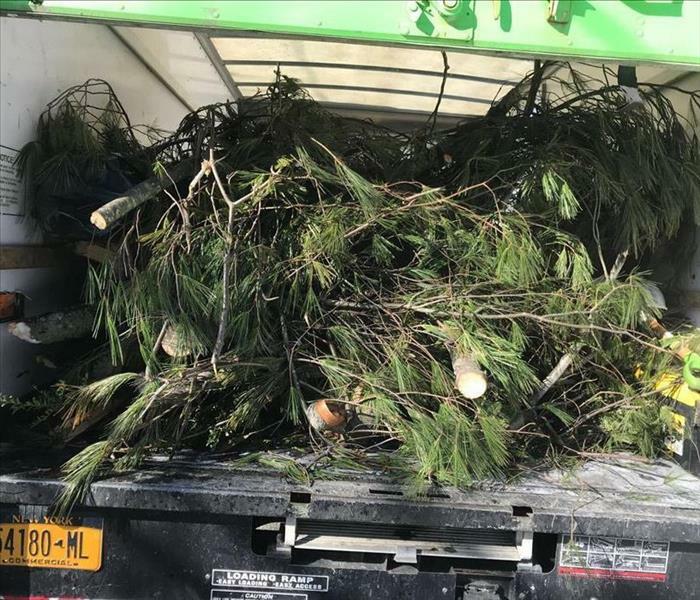 This truckload of tree branches came from a residential house that suffered the unfortunate effects of a winter storm. Our quick cleanup efforts began with a survey of the area, and a swift cleanup process to remove any remaining branches and damage. The end result is a safe home with no damage, “Like it never even happened." This roof sustained damage due to a fallen branch from a tree, and was riddled with debris, ice and snow. 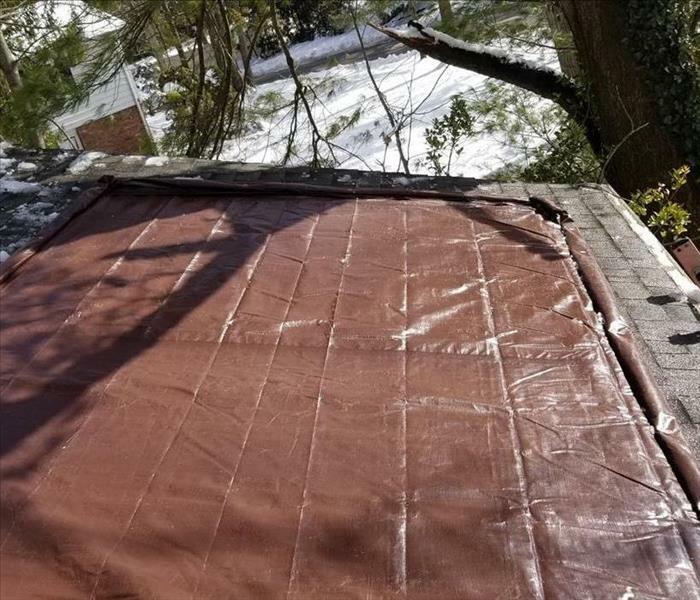 We worked quickly to remove all of the damaged shingles, remnants from the tree, and cleared up all of the snow and ice. We then placed a tarp over the area to prevent any further damage from occurring due to the outdoor elements or furry friends! SERVPRO of East Meadow/Westbury was on the scene today for a pipe break in a partially finished basement. We worked tirelessly to remedy any issues associated with the damage and bring the basement back to its original, damage free state! Many home owners on Long Island consider SERVPRO of East Meadow / Westbury to be the "Dream Clean Team in Green". That's because no job is too dirty for us to handle. 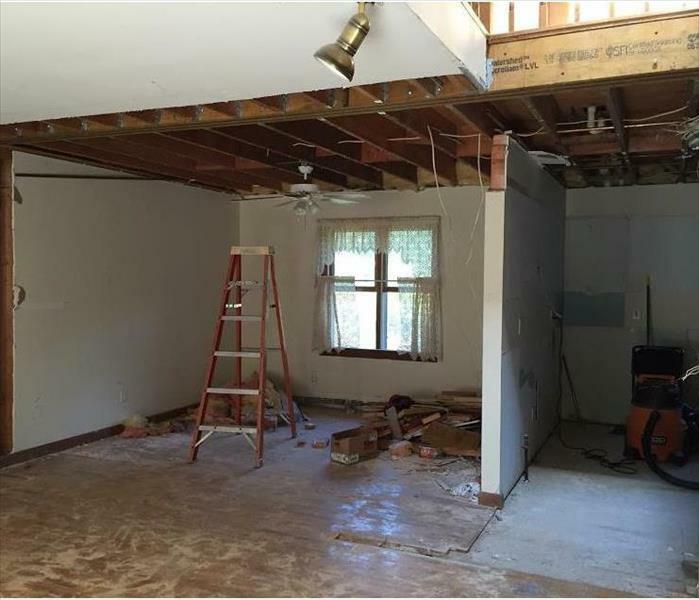 Our only goal is to make sure home owners on Long Island can trust that our emergency restoration service professionals are going to handle the job properly. Whether it's new construction or a remodel, construction sites are messy and full of drywall dust, saw dust and building material debris. This mess goes way beyond your standard residential vacuum and mop as debris gets into every nook and cranny, blanketing every surface with a layer of dust and grime. 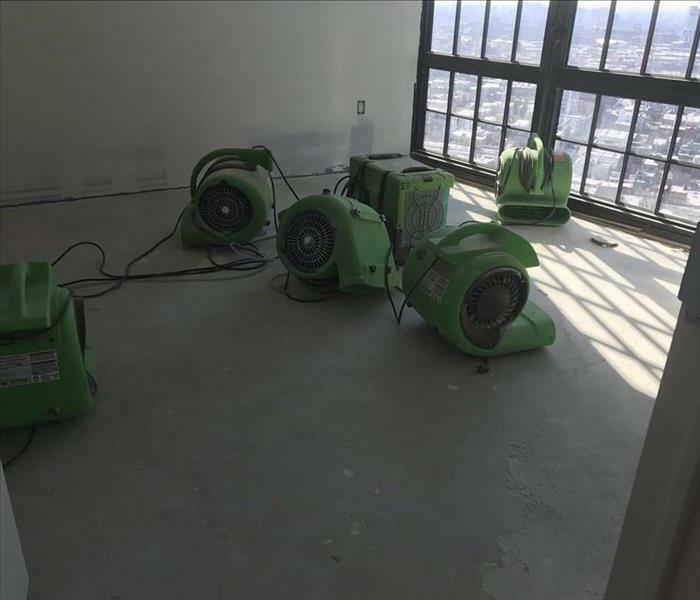 SERVPRO of East Meadow / Westbury uses commercial equipment, specialty products and a trained "green clean" crew to clean up your home or commercial property construction project. 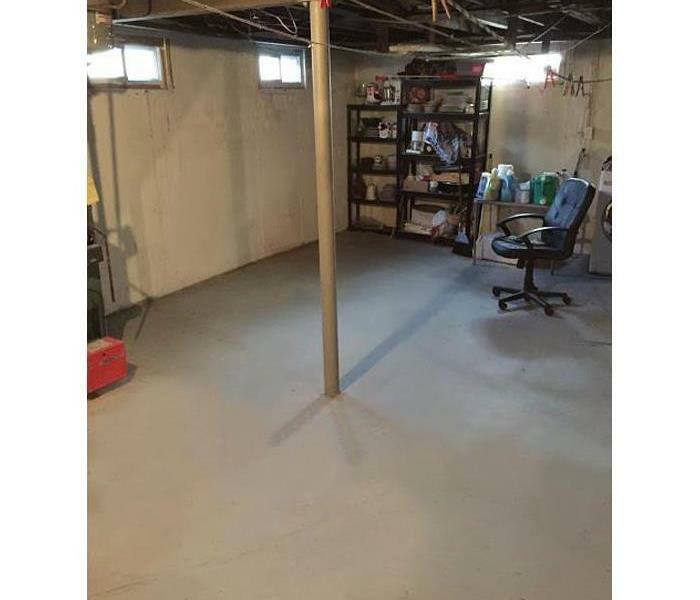 Wet Basements on Long Island Love Us! "Like it never even happened." is a motto that we live by. You would never know that this basement had over 2 inches of water just a few days ago. Exposure to Biohazard contaminants can pose serious health risks. 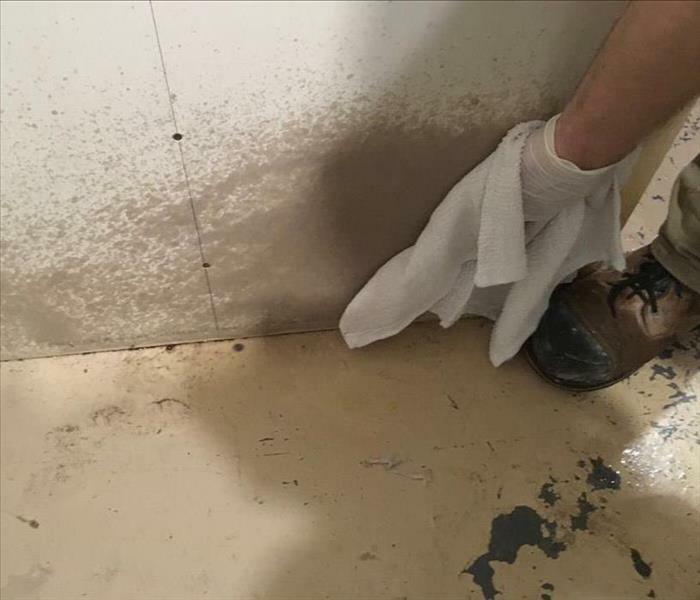 SERVPRO of East Meadow / Westbury emergency restoration biohazard cleaning specialists use specific PPE and organic cleaning agents to properly disinfect and deep clean the most disgusting situations. Furnace puff backs are one of the most common problems encountered in a home’s furnace, gas or oil burning systems. 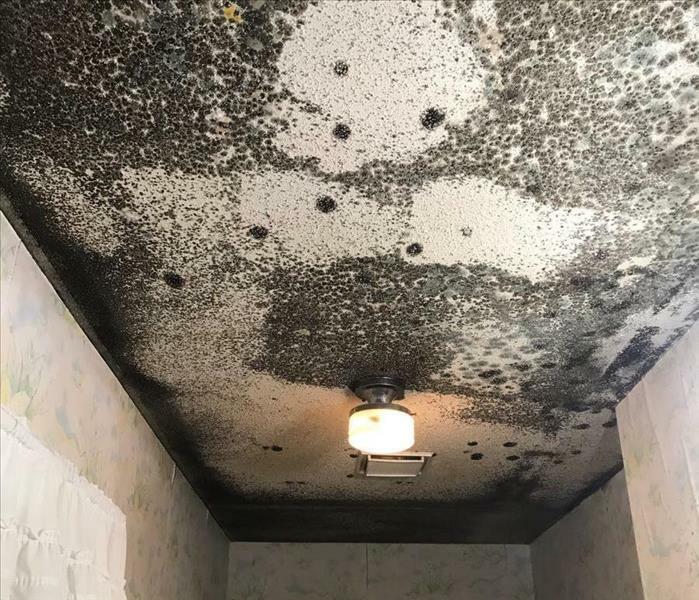 Lack of timely inspection and regular service of oil fired heating appliances will bring enormous risks such as loss of heat and related damages in your Long Island home, black walls and sooty mess all around, and the potential for more dangerous puff backs in the future. 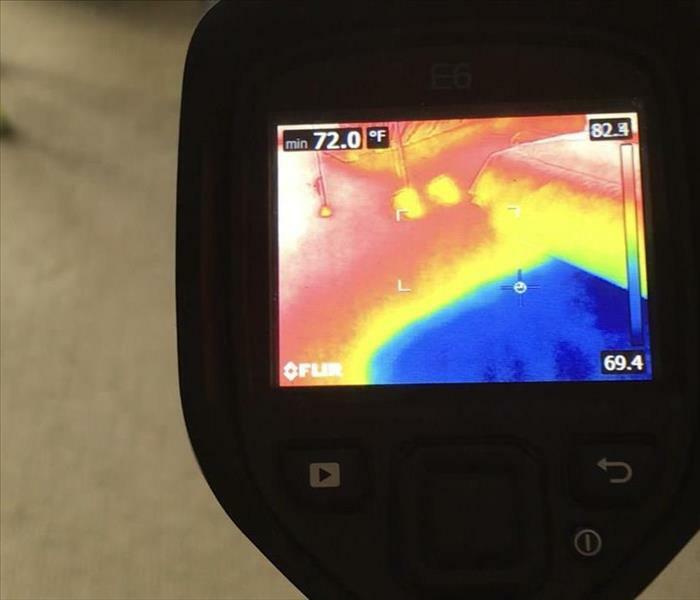 If you are encountering any of these problems, call our home restoration emergency professionals at SERVPRO of East Meadow/Westbury right away, to get your system checked and repaired.